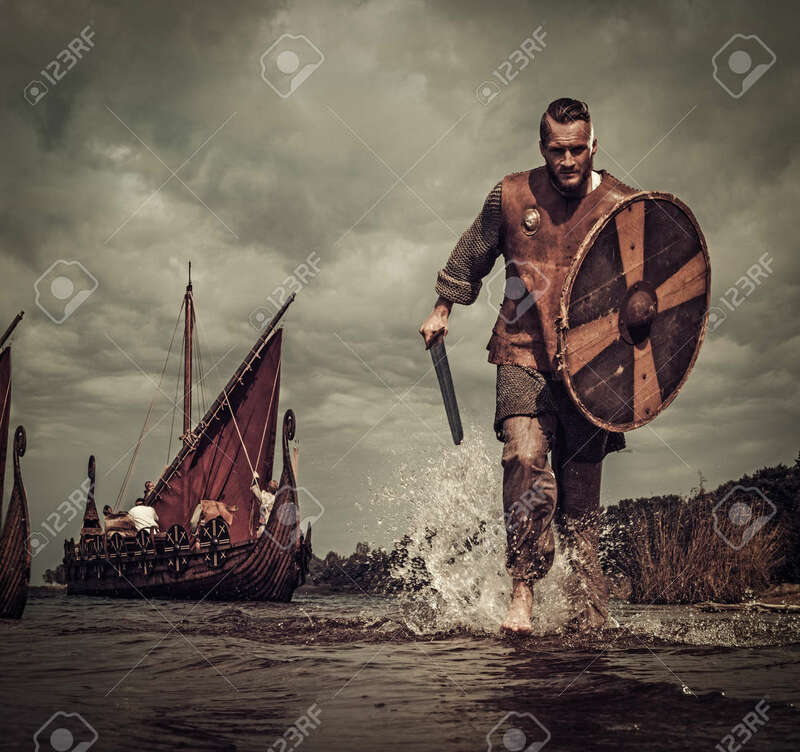 Serious Viking Warrior In The Attack, Running Along The Shore.. Stock Photo, Picture And Royalty Free Image. Image 62779145. Stock Photo - Serious viking warrior in the attack, running along the shore with Drakkar on the background. Serious viking warrior in the attack, running along the shore with Drakkar on the background.